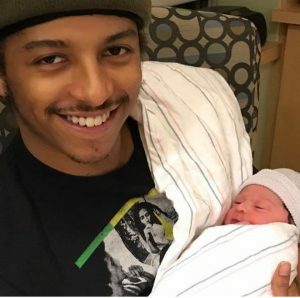 Lauryn Hill, American singer/songwriter, and Rohan Marley, businessman and son of reggae legend Bob Marley, are celebrating the birth of their first grandson Zephaniah, the child of Zion David Marley, 19, and his girlfriend, whose name was not given. The baby’s name was chosen from the Bible verse Zephaniah 3:16 “In that day it shall be said to Jerusalem, Fear thou not: and to Zion, Let not thine hands be slack …Unto Us a Child is Born.” One of the hit songs on Hill’s debut album “The Miseducation of Lauryn Hill” was about her son Zion. In the song “To Zion” Hill discusses her decision to have a child despite the fact that many people urged her to have an abortion to avoid conflicts with her career. Now Lauryn Hill and Rohan Marley have five children, and Hill has become a grandmother at age 41.